His realistic vistas of Dresden, Vienna, Turin and Warsaw brought him fame in the 18th century. But the painter Bernardo Bellotto, or Canaletto, also painted the town of Pirna, south of Dresden on the Elbe River. 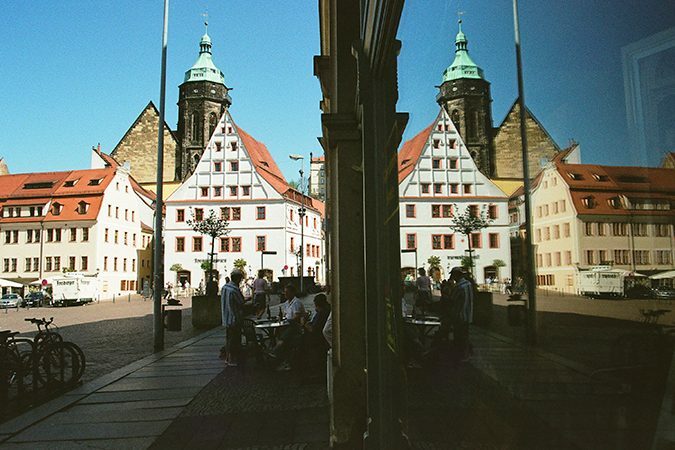 Time in Pirna seems to have stood still and the town has changed little since Canaletto’s days. The former fortress of Sonnenstein towers over the old town, which is dominated by buildings of the Renaissance. Pirna’s town hall, which has been extended over the centuries, is not just on the market square, but in the middle of it. Close by is the Late Gothic Church of St Mary, one of the most beautiful religious buildings in Saxony. Pirna lies at the gates of the Saxon Switzerland National Park with its bizarre rock formations and dominant table mountains. A trip on a steamboat from Pirna to Königstein reveals interesting perspectives of the landscape once formed at the bottom of an ocean. 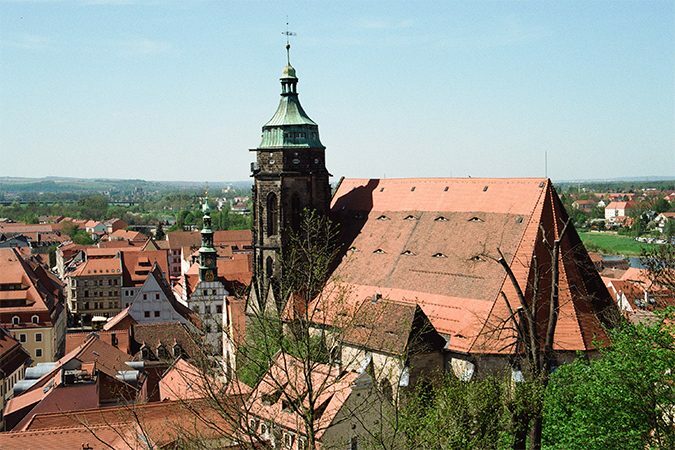 It spills over into Bohemian Switzerland on the Czech side of the border which is just minutes away from Pirna on the Autobahn motorway. Around Pirna, there is an amazing number of castles and parks. Weesenstein Castle in the Müglitz River Valley has grown downhill over the centuries and features beautiful rooms from the 19th centuries when future Saxon king Johann lived there as a prince devoted to translating world literature. Today, a micro brewery delights visitors after their tour of the castle and the garden. 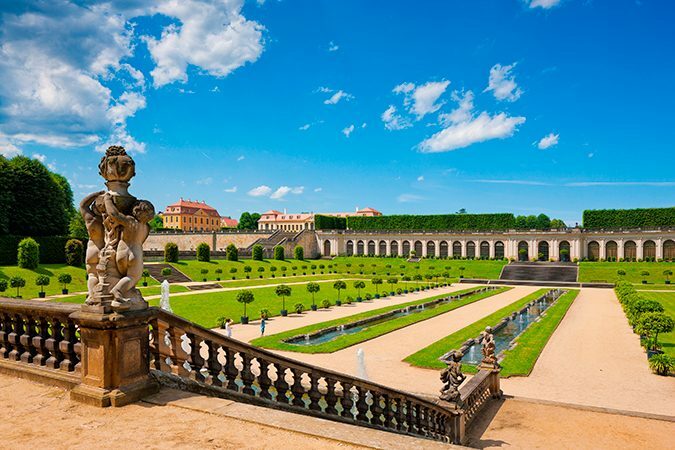 Nearby Grosssedlitz Baroque Garden was the “Saxon Sun King” Augustus the Strong’s attempt at building his own Versailles. It was never completed but remains a beautiful Baroque garden.